8-Ball / 9-Ball / Straight Pool / APA Masters ... winter session leagues start on Monday 01/07/2019 so come down & join one of Lucky Shot teams NOW for all the FUN in the RUN ...! 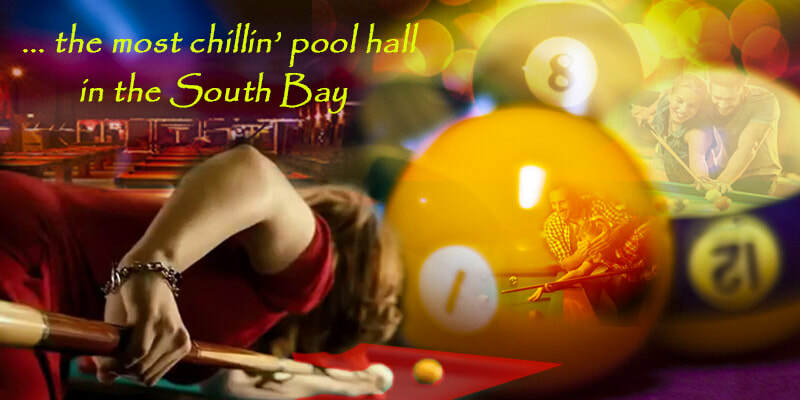 Established since 1996, Lucky Shot Billiards is known as South Bay most chillin' pool hall with well maintenanced tables. We feature 14 competition pool tables, Jukebox, Sport Bar, large selection of beers, ciders, and wine coolers, etc. We are conveniently located on historic Murphy Avenue in Sunnyvale across from Macy shopping mall. Our location is easily accessible off Mathilda exit from both north & southbound of freeway 101, highway 85 ​and highway 237.